Does Nagaland have a reading culture? Built on the foundations of a strong oral culture, Nagas eventually learned the art of writing and reading along with education. But have we been able to thrive in reading? Reading extends far beyond the four walls of the classroom. It is more than just studying textbooks and what’s in the syllabus. Through reading we learn more about life, cultures, values, smart decisions and it inspires us to dream big. “Reading is a means of thinking with another person’s mind; it forces you to stretch your own” – Charles Scribner Jr.
Talk of reading and its consequent importance and everyone will nod their heads in agreement. Reading is every second person’s favourite hobby or pastime, and the fodder for endless essays and discussions. The benefits can never be overstated as the mindful delights of reading simply call for another humble say. From our childhood fairy tales and bible stories, with their simple and endearing themes that first enchanted and captivated us to developing our individual eclectic tastes, we indulge in the fascinating world of books. Once an avid reader, reading becomes pretty much an integral part of life, nurturing and defining one’s personality. The joy of reading, whilst to a discerning few, may be in one’s ruminations of Tolstoy or Charlotte Bronte or Thomas Hardy, to the common man equal pleasure is found in non-literary works such as Chetan Bhagat, Malcolm Gladwell or the daily newspaper. One of the best habits a parent or individual can inculcate in a child is the habit of reading. 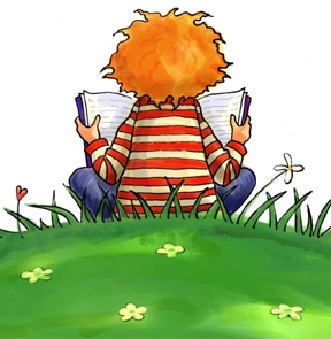 To encourage a child the pursuit of reading in the early stages is to ensure a continous process of discovery and learning, bridging the gap that the shortcomings of a formal system of education may have, which makes reading even more imperative. Reading books has many benefits both mentally and morally. What was once a preserve of the affluent and elite in society is now a tool of empowerment to the common man. Philosophies and ideas that once seemed grand or enlightening but for a few, are now finding mass appeal or even redundant through critique. Coming to the Northeast, or for that matter, India, reading is predominantly done in the English language. Modelled on the European system of education and learning, English remains the core medium of learning and instruction, heightened in importance with a majority of literary works in English or translated into English. While the preference for English may be justified as it is the global language today, the lack of interest in reading in ethnic languages and local dialect is disheartening, and not in the least due to the scarcity of material. Many articles and books in local dialects by gifted and diligent, albeit lesser-known Naga authors or writers are available which deserve a read. With the abundance of English literature and more being produced on a daily basis, the works of literature in the ethnic languages and local dialects represent a literary treasure trove, something we in the Northeast have failed to appreciate and give due credit. At our own expense with regard to English reading, the North-eastern states seem to have fared better than those in mainland India. A recent survey that appeared in The Hindu, shows that the percentage of young English readers in the Northeastern states, including Nagaland, was among the highest in India, with fiction being the most popular category. The advent of technological innovation has revolutionised reading. Google, Kindle, etc are bywords in today’s world of reading. Greater access to the internet and development of newer and better applications have opened up new avenues for readers around the world. The popularity of smartphones and tablets is ensuring faster and cheaper access to hardback editions, and newsprint and magazines worldwide are increasingly focussing on the digital version. The discussion of reading is bound to touch upon the vitality of libraries and the need for them; from the earliest civilisations of the Egyptians, the Greeks, to India’s own world-returned universities of Nalanda and others, libraries have recorded and dispensed knowledge to civilisations and their people. They have formed the backbone of man’s quest for knowledge in fields as diverse as mathematics, economics to astronomy and poetry. Educational institutions today, take much pride in having a well furnished library for the benefit of both teacher and student. Nagaland has its own state library although much change could be made to make it more reader-friendly and efficient. As a lecturer in Tetso College, I enjoy easy access to a great many books provided by the College library. Tetso College library provides great facilities along with e-resources and a good, comfortable reading environment, and I encourage all students to make the best use of it. In this way, we need to develop a reading culture with the help of better libraries amongst educational institutions and in our State, for our children’s educational growth and development. As more and more libraries get digitalised, ease of access to books, and hence knowledge and emancipation becomes a reality. The experience of reading can be for everyone. It brings out the rationalist in you and at the save time teaches you to dream. It takes you on journeys to far-off places and brings you back with a better realisation of the worth of your place and your own. It lets you like the lives of unknown men and women, feeling their joys and tears, getting carried away in their causes. Some inspire, some are lessons in introspection. For those who came in late, it’s never too late to begin. To not experience the joys of reading, therein lies the travesty. NAAC Accredited UGC recognised Commerce and Arts College.